Heres what Christoph has to say about the piece via his site. The latest release for the Spring 2018 Mister Freedom® Sportsman catalog is a new iteration of the popular MF® Cowboy Jacket, our twist on the classic trucker-style jacket. The MF® Cowboy Jacket is already available in a traditional dark indigo NOS Cone mills 12.5 Oz denim twill, a beautiful lighter indigo “Malibu Sea” 14 Oz. selvedge denim milled in Japan, and a NOS wheat color Cone Mills 12.5 Oz selvedge denim. 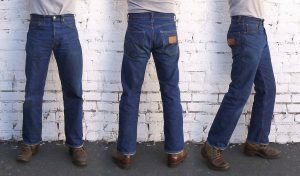 This time around, we wanted a dancing partner for the MF® SPEEDWAYS Jeans issued for Fall 2017 in a special “coated denim”. This special NOS fabric is not the modern waxy black rubber type coating seen on novelty contemporary jeans, but rather an interesting indigo denim twill printed with a soft-hand opaque coat of matte black water-based ink. 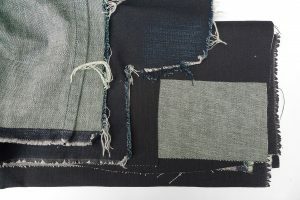 If the black ink completely covers the indigo blue warp of the denim, the usual light-colored grayish weft (with somewhat of a greenish sheen) shows on the reverse of the fabric. 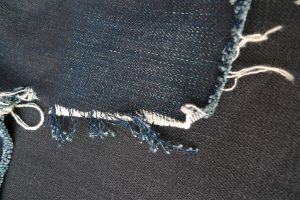 The slub of the yarns is visible on the weft threads, giving this specific denim its crosshatch quality. If the Cowboy Jacket in BCD initially looks flat black, it will develop its own patina overtime, blending shades of indigo with black and white, according to activities, frequency of wear and wash cycles. Undertones of indigo will rapidly appear with normal wear abrasion. 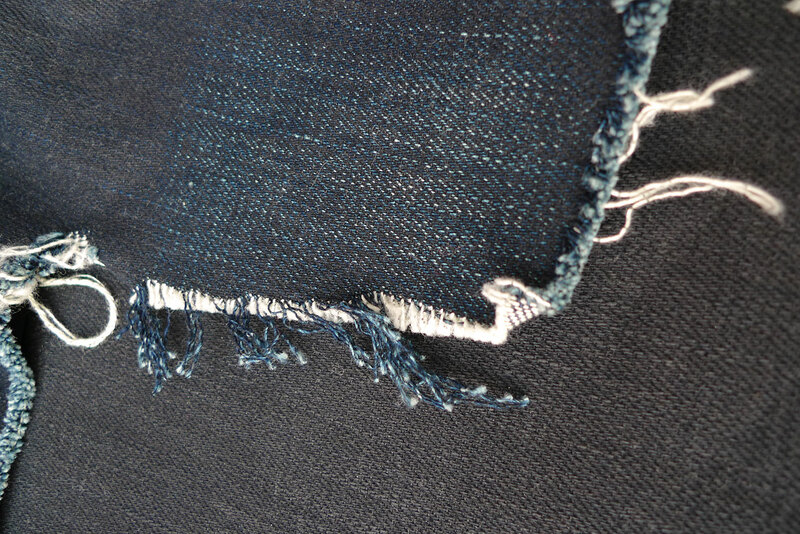 See the denim wash test photos below, also featuring a small section rubbed with sand paper. We opted for tonal stitching and un-branded oxidized black wreath donut buttons, for a rather unassuming vibe and neutral fashion statement. 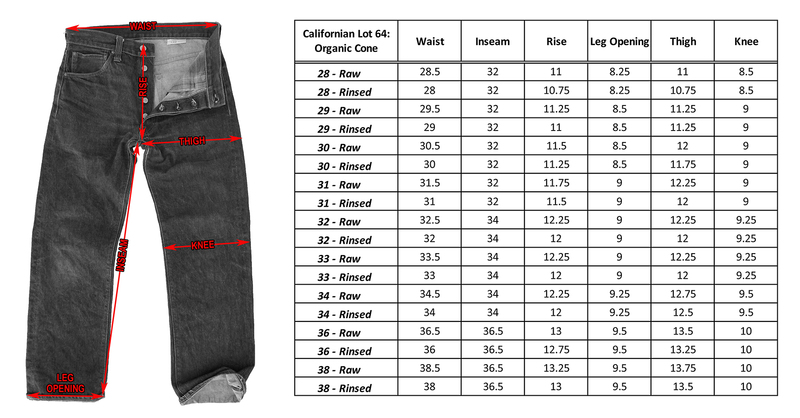 The Cowboy Jacket in BCD (Black-Coated Denim) comes UN-WASHED and is cut so that the measurements match the labeling AFTER an initial cold soak/line dry. This specific denim is pretty much sanforized, and very minimal shrinkage is to be expected. Treat the MF® COWBOY Jacket BCD as you would fancy indigo denim wearables. Hand washing can be a good option for those concerned with specific wear patterns and high-contrast colors fades, otherwise machine wash on delicate. Wash separately to avoid color transfer. Turn garment inside-out to minimize unsightly marbling of the fabric. Cold water, mild eco-friendly detergent. Hang dry. Initially black, your Cowboy Jacket BCD will develop its own attractive patina with normal wear, blending shades of indigo, black, and white, according to activities, frequency of wear and wash cycles. Mega hyped to have the newest of the California lot 64 hit the shelves. The last version of the Lot 64 was a hot selling jean and this one just gets better. With a slightly lighter weight 14 oz denim, Mister Freedom traded out the NOS cone mills Selvedge for the character of the Okinawa Japanese Denim and added the beauty selvedge denim buckle back. For Spring 2018, the MF® Conductor Jacket gets cut from another mfsc favorite, a vintage New Old Stock hickory stripe lightweight twill that came out of an old warehouse in Southern California. The hickory stripes were a perfect match for their old-school railroad worker-inspired jacket. Whether worn as a top garment or as a layer under another ¾ length coat, with a classic bowtie à-la Bing Crosby’s Musicaladers, with a simple T-shirt or chambray workshirt à-la Choo-Choo Charlie, the MF® Conductor Jacket is pretty versatile. The numerous pockets make it quite a practical garment when running around town or traveling. To ease into this new year in style, let’s introduce a new member of the Mister Freedom® Continental Sportcoat family, the first Spring 2018 addition to our all-made-in-USA Sportsman catalog. 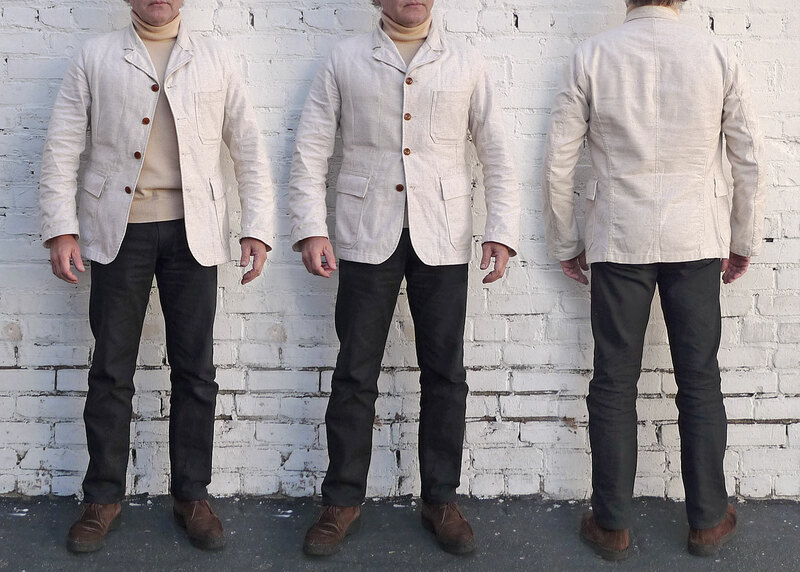 This classic and versatile unstructured blazer pattern is already available in an array of fine NOS fabrics, an indigo crosshatch twill, two grey cotton-linen twills, and a light indigo “Player” denim. It now gets an elegant tropical twist with the New Old Stock fabric we recently scored, an 8.85 Oz. blend of 86% cotton and 14% linen, an elegant natural white twill with a subtly-contrasting heather oatmeal warp and white weft. The face of this denim-like fabric displays unbleached slubby flecks of natural fibers, while the reverse shows a whiter cotton yarn. 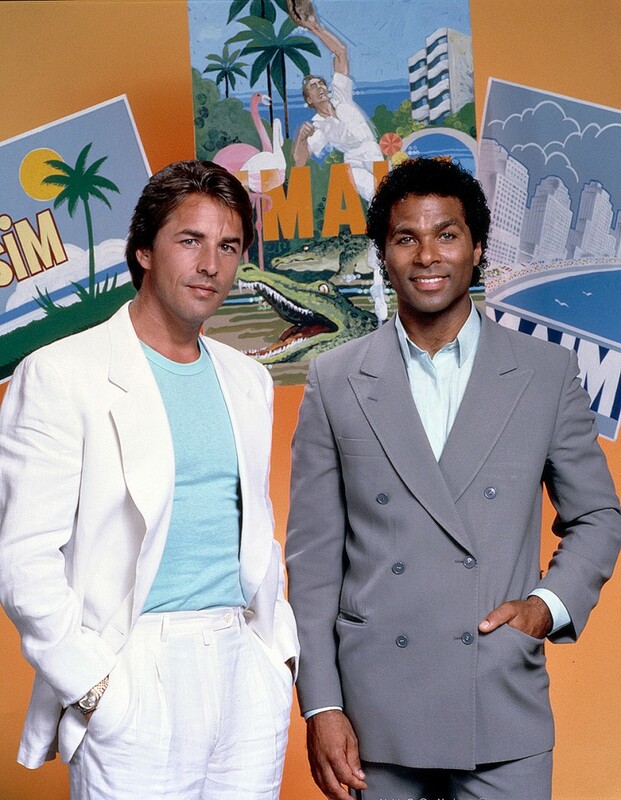 Our (technically inaccurate) choice of term “Congo Gabardine” is a nod to “Congo Cloth”, a now-defunct rayon fabric typical of vintage tropical attire. Off-white suiting fabrics of the the 1920’s-40’s, such as “Congo Cloth”, or the illustrious Palm Beach Cloth (a cotton/mohair blend fabric milled by the Goodall Worsted Company, and cut into classic “Palm Beach” lightweight suits), certainly convey a bygone tropical elegance often eluding contemporary men’s summer fashion. The Mister Freedom® Continental Sportcoat “Congo” features a half-shoulder ‘floating’ lining cut from yet-another fancy NOS fabric, a white sateen twill with a woven green stripe pattern, probably milled in Italy. Our sportcoat’s classic, sixties-style, four-button closure highlights an attractive set of amber brown corozo buttons, adding somewhat of an ‘earthy’ touch while complimenting the tropical theme. This off-white summer coat can be paired with jeans or khakis for a casual vibe, dressed-up with waistcoat and slacks, styled with neckties or open collars… or rocked full-on Miami Vice. Lining: NOS 100% cotton woven stripe sateen twill, white and green, probable European origin. 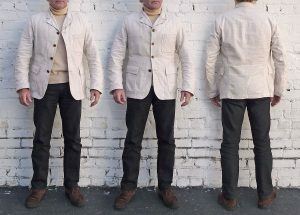 The Continental Sportcoat “Congo” comes raw/unwashed. We recommend our usual initial 30mn cold soak/occasional hand agitation/spin dry/hang dry process. 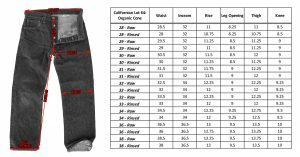 The tagged size reflects the size of the garment after going through this process. The subtle variation of shrinkage between body fabric/lining fabric/cotton thread will result in puckering and roping, slightly altering the fit and drape.